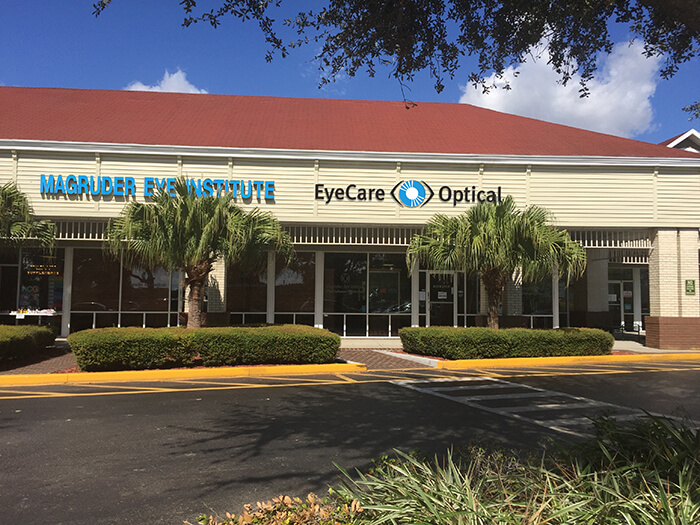 Magruder Eye Institute and Magruder Optical are rapidly becoming the preferred choice of Floridians throughout the Orlando area for all vision care needs. We call our community-based locations “EyeCare Optical” to best describe our full-service offering. Our board-certified Optometrists have specialized training for comprehensive eye examinations, offering prescriptions for glasses, hard, soft and specialty contact lenses, and can manage and treat a variety of eye diseases. 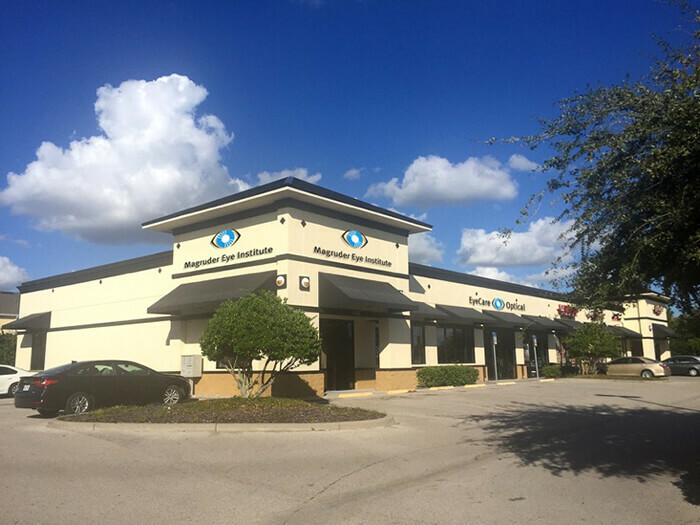 In the event surgery or more specialized treatment is beneficial to the patient, we are part of Magruder Eye Institute, among the most capable Ophthalmology practices throughout Florida. Magruder Eye Institute has eight board-certified Ophthalmologists, each specializing in different fields including cataracts, retinal disease, glaucoma, oculoplastics, cornea, and general Ophthalmology. Each location at Magruder Optical offers a wide selection of frames and styles ranging from exclusive designer brands such as Oliver Peoples, Versace, Coach, Maui Jim, Ralph Lauren and Costa Sunglasses to the value options to fit your everyday needs. Each location at Magruder’s EyeCare Optical offers a wide selection of frames and styles ranging from exclusive designer brands such as Oliver Peoples, Versace, Coach, Maui Jim, Ralph Lauren and Costa Sunglasses to the value options to fit your everyday needs. Our opticians are specially-trained to take the time to make sure your new glasses and lenses are properly fitted and patients get educated on proper use and care. For an appointment at any of our EyeCare Optical locations call (407) 893-8200.